Throughout the year Ney Nature Center will host numerous programs that are open to the public including naturalist walks, recreational activities, special events, and more! Click the link to view our Upcoming Public Program Schedule. Can’t make it out for one of our Public Programs? No worries! Ney Nature Center can create a Customized Program to fit the needs of your group. 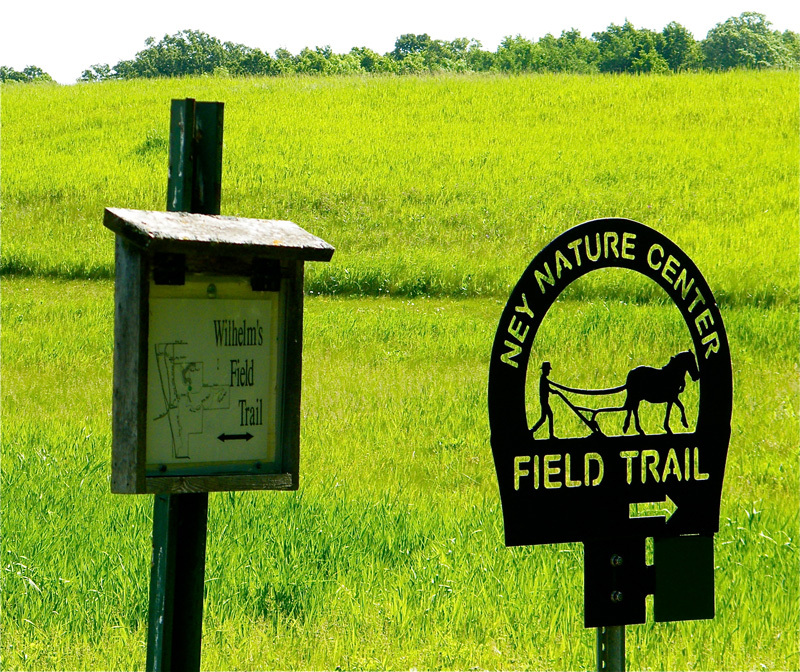 The Ney Nature Center’s open prairies, thick woods, and pond provide habitat for a variety of bird species. Hiking trails provide many opportunities to see them up close. The eastern bluffs of the river valley create breezy updrafts that attract soaring raptors. From the Pond Loop Trail, migrating waterfowl can be observed on stop-overs on their long journey. From the meadows into the deep ravine trail, birders report many species of warblers. A feeding station, maintained by Ney volunteers, can be viewed from the comfort of the education building. 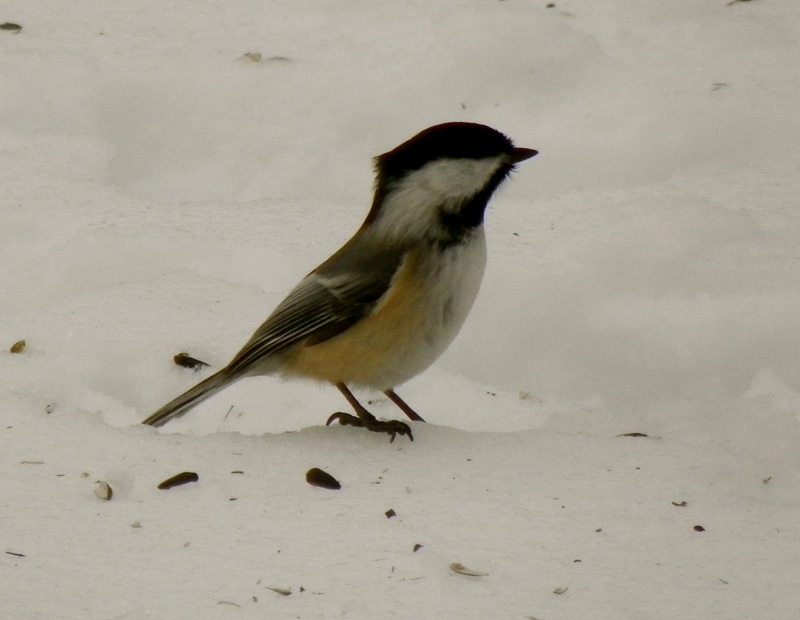 The Ney Nature Center is also a stop on the Audubon Minnesota Great River Birding Trail. 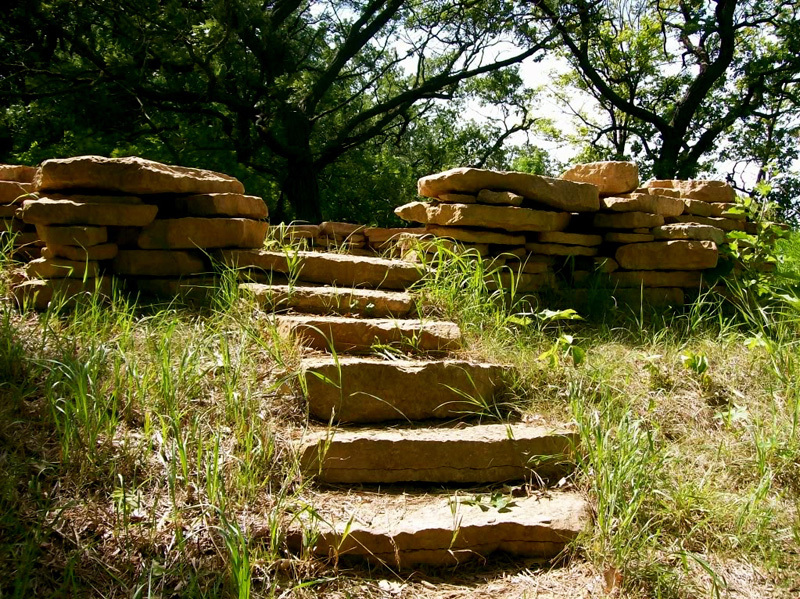 The Ney Nature Center offers a variety of hiking trails that lead hikers through a diversity of Minnesota landscapes. By walking the trails, one can see native prairie, big woods remnants, historic farm buildings, a large wetland, reforestation plots, a wooded ravine with streams, and the historic Oxcart Trail. Our trails are mowed and marked with signs at the trailhead and maps. Some trails are long and strenuous, so please read the description below. During the snowy season some trails are groomed for cross country skiing, please do not hike or snowshoe on ski trails. The Pond Trail is a 1.4 mile stroll through gently rolling terrain surrounding Frog Pond. While particularly suited to hikers of limited mobility, this trail offers vantage points, which will delight all visitors. Keep an eye open for waterfowl, muskrats, frogs, insects and wildflowers. You might even see a bald eagle! For more information on the Ney Pond, see our History page. The Ravine Trail is a strenuous and very rewarding 3 mile hike through a deeply wooded ravine. The trailhead is at the south parking lot, follow the sign that says “Field Trail.” You will pass by the Ney Homestead, through an oak savannah habitat, and plunge into the ravine on an old field road. This large ravine was carved out by a small stream that runs year-round and feeds into Depot Creek, a tributary of the Minnesota River. There are some amazing trees on this walk, including large cottonwoods, red oaks, bur oaks, aspen, ash, paper birch, and many others. For a real treat, explore the butterfly meadow area at the eastern end of the trail, or the Big Woods remnants on Gil’s Arm Trail (a shortcut out of the ravine). There are far too many amazing natural features to describe here, you might as well walk the trail and see for yourself! This is a short loop around our 10-acre native prairie restoration plot. You can simply walk over to the prairie from the Education Building and stroll around the edge. 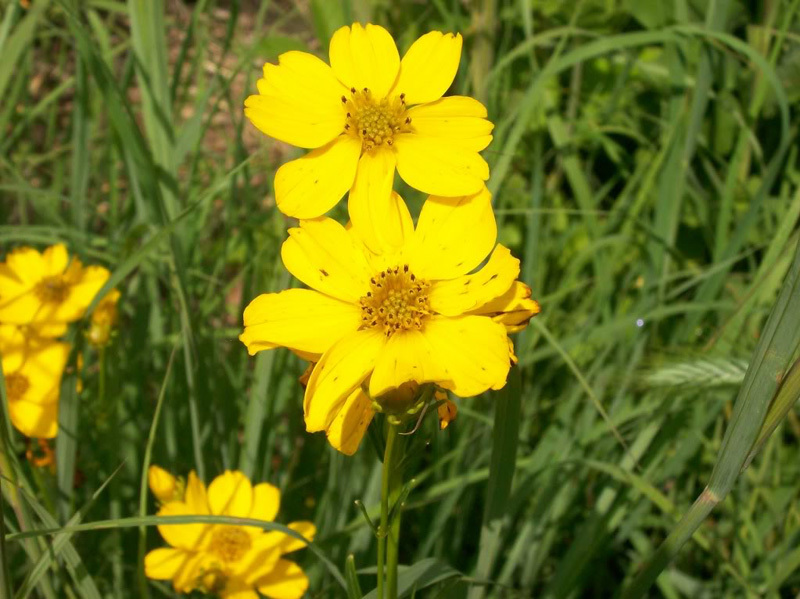 The prairie has an abundance of native grasses and wildflowers, and looks entirely different every time you see it. A portion of this trail is on the edge of the Minnesota River Valley bluff, and you will be sure to find some great overlook sites (especially at sunset). 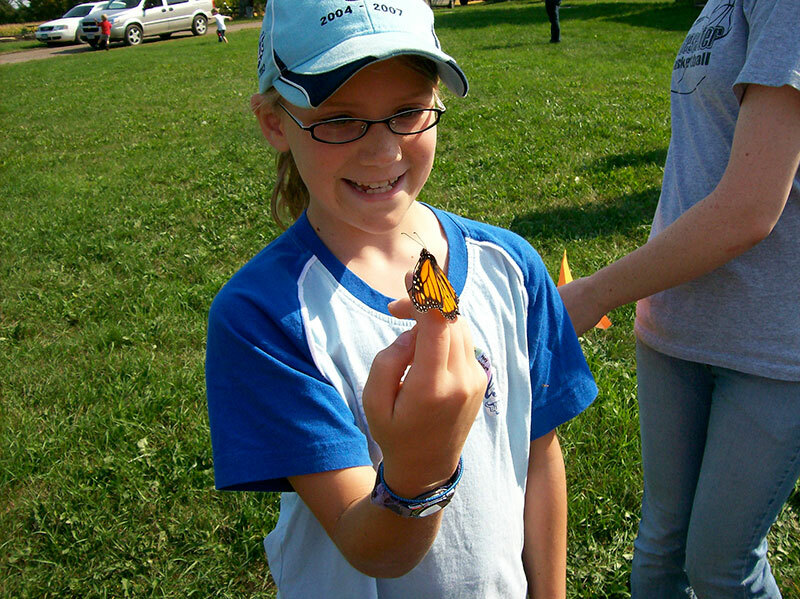 Butterflies, birds, and small mammals love the prairie habitat; so keep your eyes open! If you walk down the main road through the Ney Nature Center, south past the Ney Homestead, you will be on the historic Oxcart Trail. Stop at the south overlook for a spectacular view of the river and Henderson. Keep following the road south and you will find yourself walking down a steep hill towards the East Henderson site and the Minnesota River landing. Notice the small icehouse at the bottom of the big hill and the old Peavey Grain Elevator, the only remaining East Henderson building. This road was most recently used as a township road, but has a long history of use by many groups of people. Please read more at our Oxcart Trail on the History page. This trail is not a loop so you will have to either double back from East Henderson or find your own path back through the woods! This trail is about 2 miles one way. As you are walking south on Nature Center Lane toward the Ney Homestead, you might find a small path to your right that leads down into the woods. This is a very short trail that leads down to a fully functional windmill on a wooded slope! It looks a little out of place, but there is a good explanation. Underneath the windmill there is a spring, and the Ney family must have built the windmill to pump water up to the farm. There are also some concrete watering troughs near the windmill that were filled by its pump. In the early 1900′s, there were very few trees on this hillside, which would have made it a very windy prairie slope. The trail ends up at the Homestead behind the old stagecoach stopover. Please read more at the History page. 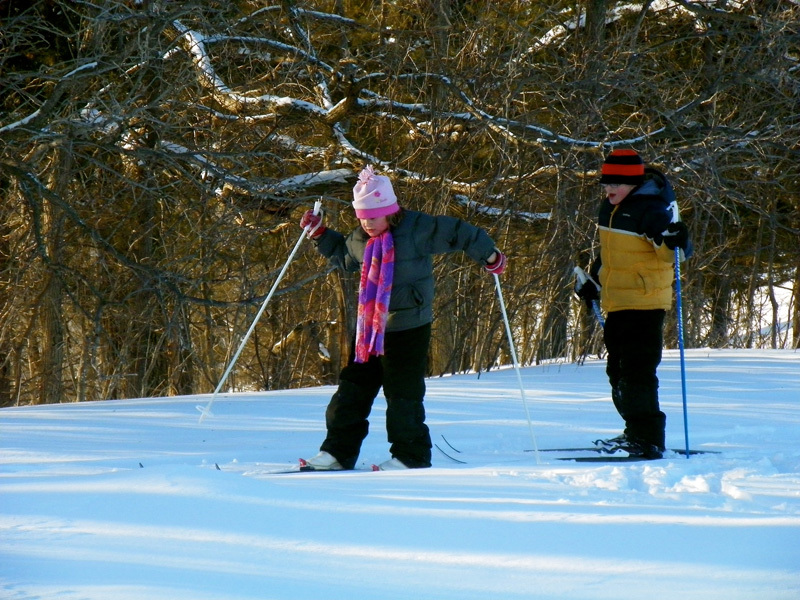 Winter is a beautiful time to explore the Ney Nature Center, and we provide trails for those who wish to do it on skis! Our cross-country (X-C) ski trials are groomed by the local snowmobile club after large snowfalls. Popular ski trails include the Pond Trail, Nature Center Lane, the Prairie Loop, and the fields along the ravine bluff east of the pond. Come out after a new snowfall on a crisp sunny day and see many different kinds of animal tracks. You will probably see deer and turkeys, and maybe even catch a glimpse of a mink or coyote!